The installation must be done with a user that has local administration rights and the sysadmin role on the database. 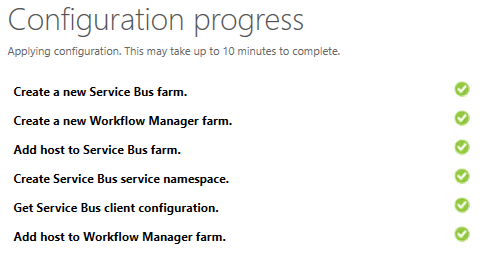 Install Workflow Manager 1.0 from the following link: http://go.microsoft.com/fwlink/?LinkID=252092. In the “Summary” screen click the “Copy” link and save the summary to a text file for future reference. Note that the workflow manager management port (https) and HTTP port are set to 12290 and 12291 respectively. There is also a “Get PowerShell Commands” that you can copy for future automated configuration of the WF manager. You should now be able to start working with workflows in SharePoint designer and Visual Studio.